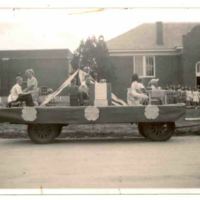 Nine students on school float in 1946. Float theme was: Serve & Conserve. The teacher is May Irene Thompson. Tractor driver is Frank Steffen. Float took third place prize of four silver dollars. 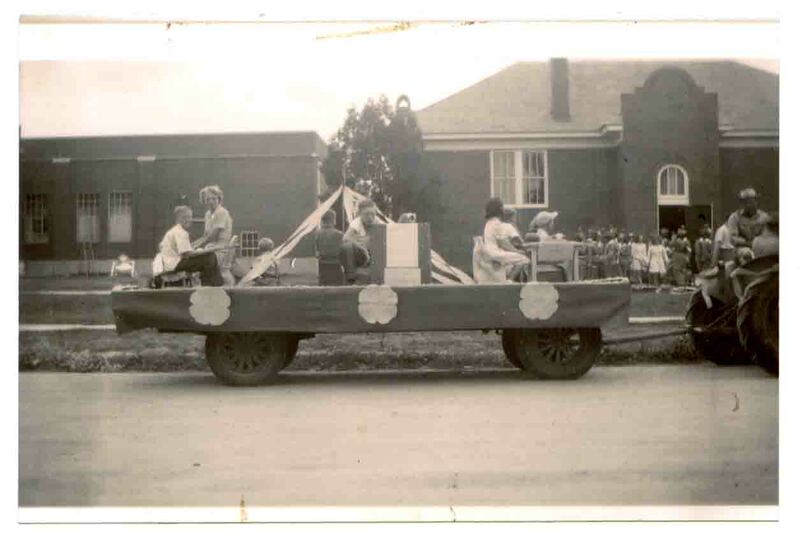 “Wild Rose School float in 1946. ,” Digital Halstead, accessed April 20, 2019, https://halstead.digitalsckls.info/item/73.